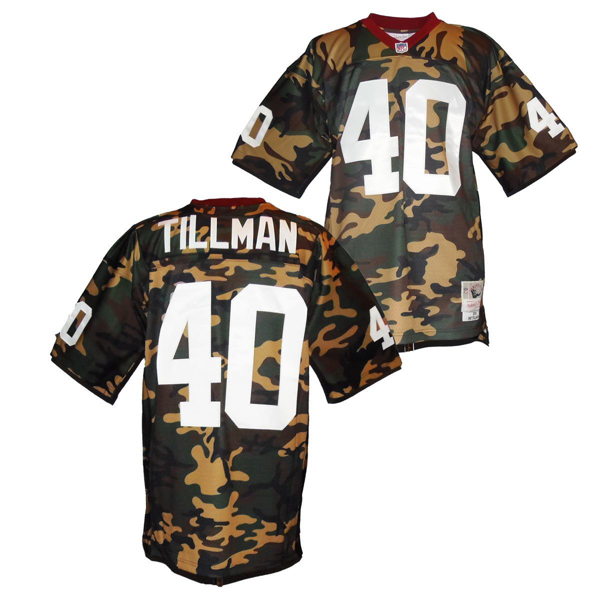 What better way to support your favorite team than wearing this Pat Tillman Arizona Cardinals Woodland Camo Legacy Jersey? The front and back body of this high-quality jersey is made of durable polyester diamond back mesh and features a newly developed diagonal pattern 2-tone flat tricot mesh. The team-colored jersey is officially licensed and displays the sewn-on single layer tackle twill team graphics at the chest, back and sleeves.